The friendly staff at Eureka Pediatrics welcomes your call and looks forward to serving you. If you have any questions about our pediatric services, please call our office at (636) 587-3000. To schedule an appointment, you can call us or use our secure online appointment request form. June 1 through August 31, regular appointments are scheduled Monday, Wednesday, Thursday, Friday: 8:30 am – 4:30 pm, Tuesday: 9 am - 4:30 pm. This is our summer schedule, and we do not have Saturday hours available during this time. Evening hours are offered on Monday and Wed until 6 pm. These extended hours are available for sick visits that are necessary due to illness that developed during the day. On these evenings, there is one pediatrician with appointments as late as 5:45 pm. If you need to have your child seen during these hours, please call and schedule an appointment before 5 pm. In the event of a life-threatening medical emergency, call emergency medical services at 911 immediately. DO NOT WAIT! Inform the emergency room staff that you are a patient of Eureka Pediatrics, and they will contact us. Eureka Pediatrics uses St. Louis Children’s Hospital’s answering service. When you have a concern after hours and need to speak to a nurse, you can call the answering service at (314) 747-9340. They will ask your name, and a description of your child’s symptoms. If the nurse feels your doctor should be contacted, she will call the doctor who is covering for that evening. If the nurse feels your child needs to be seen immediately, she will refer you to an urgent care or an emergency room. Please do not call the nurse’s line for referrals, medication refills, appointments or any questions that need to be taken care of during regular office hours. Also please take into consideration the time you are calling the exchange. If it is only a short time before the office opens, it may be better to wait and call the office. Our nurses line charges us for each call, so we reserve the right to charge patients for unwarranted calls. At Eureka Pediatrics, we accept most major insurance plans. Please contact your insurance company or you may call our office at (636) 587-3000 to find out if we accept your insurance plan. If your insurance plan requires you to pay a co-payment, co-insurance, and/or a deductible, you will need to pay at the time of your visit. If we are not a provider for your insurance, or if you have no insurance, then you may be responsible for the entire charge at the time of service. For your convenience we accept cash, checks, Visa and MasterCard credit cards. If you have a question related to your bill or insurance, please contact our billing specialists at (636) 587-3000. Prescriptions and refills for established patients of Eureka Pediatrics are routinely issued during our regular office hours (see above). You can make your request by calling our office at (636) 587-3000. Please have the following information on hand when making this request: child’s name, child’s date of birth, name and dosage of medication, and name and phone number of pharmacy. No refills are issued during the evenings, weekends, or holidays, as the doctors do not have access to your medical records during those times. It is helpful to anticipate your refill needs to avoid an interruption in medication therapy. Please note that not all refills can be called into the pharmacy. You may be required to come to the office to pick up the prescription. Please allow up to 48 hours to process this request. Asthma, allergies, and behavioral medications required for long-term maintenance of conditions are required to have a medication checkup performed every six months, and a physical performed annually. Routine medication refills will not be processed after hours or on weekends. Please plan ahead and call the office before the medication runs out. When arriving for your appointment, please ensure you have a current and valid copy of your insurance card as well as your co-pay, which is due at the time of your visit. This office checks your insurance card at every visit. We do this not to inconvenience you but to make every effort to insure that we have entered the correct information before we bill the insurance company. This means we have our employees check your information that is entered in the computer and compare it with your insurance card each and every time you come in. We make every effort to make all sick appointments on the same day. There may be times when the office is overflowing with sick children, and you may be asked to make an appointment for the following day. 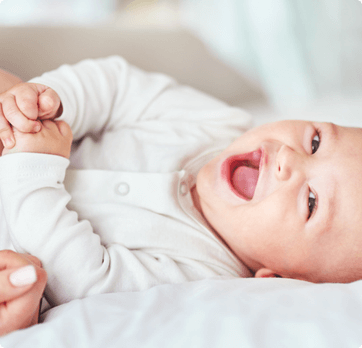 We will take into consideration your child’s symptoms and instruct you on how to make your child more comfortable until one of the physicians can see them. Physicals, behavioral evaluations, and asthma appointments require more in-depth services from our staff and physician. As a result, these appointments may need to be scheduled one to two weeks in advance. Please keep this in mind when planning appointments for school or sports physicals and/or medication checkups. Physicals should be scheduled prior to the last few weeks before school starts. During this time, we are overloaded and are unable to schedule physicals for all of our patients. Be sure to schedule your child’s physical a few months before school starts. Any forms that need to be completed by our physician or staff members should be brought to the appointment. Should you bring a form to our office that needs completion after a physical, please allow up to three business days to complete. All appointments must be canceled at least 24 hours prior to the appointment time. Failure to do so will result in you being marked as having a missed appointment. It is very important that you keep your scheduled appointment, as our physicians only have limited time slots during the day to see patients. By not keeping a scheduled appointment, our physician’s ability to provide care to other patients is limited. As a result, in the event you cancel an appointment without giving enough notice or fail to come to your scheduled appointment, you will be marked as having missed. If you have missed three or more appointments, your relationship with our practice may be terminated. If there are extenuating circumstances regarding your cancellation, please let us know so we can handle your cancellation accordingly. If for any reason you require a copy or a transfer of your child’s medical records, a written release form must be completed either with our office or the doctor’s office where we are forwarding records. Once our office receives the completed medical release form (must be signed by a legal guardian), we will prepare a copy of your child’s medical record. We will make every effort to expedite the medical record transfer to the new physician within 3-5 business days. However please note that it may take longer to complete this request. As a courtesy to you the first copy of your medical records are free. If you request records more than one time we reserve the right to charge for your records. The cost will be what the state has allowed to be fair charges for medical records. We will be happy to supply a copy of your child’s immunization record at the time of service. Please request that your child’s immunization record get updated at each well child visit. Should you need a copy of your child’s immunization record for school or daycare, we will gladly prepare a copy for you to pick up free of charge. Please note that we may require up to two business days to process these requests. Any form which requires our physicians to prepare for a third party (college forms, school physicals, medicine permission forms, etc.) will be filled out if you bring the form at the time of visit. We request that the patient’s part of the form is filled out completely and signed if indicated. Should you need a form completed and signed by the physician other than at an appointment, there needs to be a physical exam on record within the last year, or a medication checkup within the last 6 months. Please note that we may require up to four business days to process these requests.